Serving Residential & Commercial Customers Since 2010. Request a Free Quote Chat Live now! Chicagoland residents know that winters are harsh, and the elements will present challenges in daily living. Snow and ice are some of the most common issues, and substantial snowfall can require tremendous work to clear driveways or parking lots. Our team of experienced snow removal professionals are ready to clear your driveway, sidewalks, walkways, landings, and parking lot at any time, even after a significant snowfall. If you need our services after a particularly large storm, or if you simply want routine maintenance, we’ll be there to help. Many homeowners and commercial property owners find that our de-icing services go a long way to keeping their property safe and usable during the cold winter months. Slick sidewalks and other high-traffic areas create dangerous conditions for shoveling. Let us take on the risk, and our skilled Lake in the Hills snow removal experts will make sure your property is safe and accessible for all who visit. Daybreaker Landscapes is a U.S. Veteran-Owned Business founded by United States Air Force veteran Jeff Rausch in 2010. We are a member of the Illinois Landscape Contractors Association. Our primary service areas include Algonquin, Crystal Lake, Woodstock, Barrington, Elgin, Lake in the Hills, and several other nearby areas. Call (815) 596-0070 or contact us online to receive a free estimate. When snow begins to accumulate, it can cause problems as the temperature drops. Icy walkways can easily lead to slip and fall accidents, and excess snow can obstruct homes and commercial building entrances. Daybreaker Landscapes provides a wide range of residential snow removal services, including snow plowing, blowing, shoveling, hauling, and stacking, as well as salting and ice removal and prevention. Daybreaker Landscapes provides residential snow removal services to customers all over the Chicagoland area and uses only the appropriate equipment for each job. In some circumstances, we may use snow blowers instead of plows to avoid possible damage to hardscape. Our residential services are offered on a temporary or regular basis. Certain factors can affect your estimate for snow removal services. Location is one factor, as we are in Union but serve a wide range of communities around Chicago. The specific services you are seeking will also be a significant determinant of the price, as additional snow clearing will cost extra. The type of equipment we use to remove snow on your property and the amount of snow we are clearing can also impact the price. Certain types of property, such as gravel driveways, require a specialized approach. Be wary of companies offering snow removal services at discounted rates, as they may use equipment that damages your hardscape elements. Necessary response time for snow removal can also affect your estimate. Setting up a regular contract will allow you always to have your snow issues addressed as soon as possible. Contracts can be on a per inch, per push, or fixed fee basis. Each type of contract offers its unique advantages, but the best will depend on your specific needs. Per-inch contracts are great for people who only want to pay for services as they are needed. Per-push contracts offer greater control over the costs of services and when they are performed. Fixed fee agreements provide greater certainty about costs. 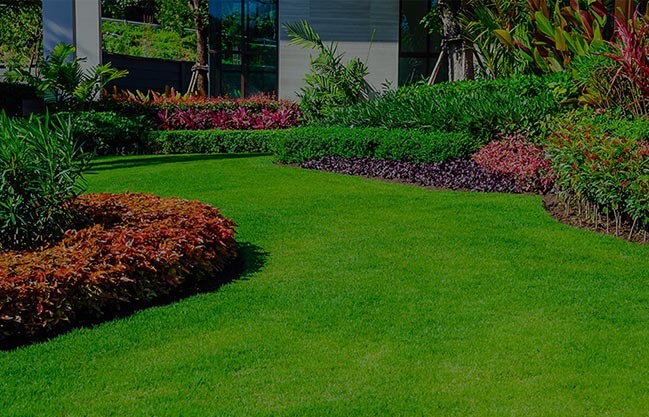 Daybreaker Landscapes will take the time to review your property and discuss all your concerns, so we can make sure that you are only receiving the services you want. We will make sure that your property is cared for in the manner you desire as soon as snow falls. Some jobs are straightforward, with only driveway and sidewalk clearing required. Others may involve more complex demands, such as heavy snow removal or dangerous icicle extraction. The Snow and Ice Removal Act found in 745 Illinois Compiled Statutes 75/ establishes that “owners and others residing in residential units be encouraged to clean the sidewalks abutting their residences of snow and ice.” In 2016, the Illinois Supreme Court reaffirmed that the Snow and Ice Removal Act protects property owners from liability if someone gets hurt because they did not do a good enough job of shoveling, but only when the snow or ice was the result of natural conditions. While people have much greater flexibility in deciding when and how to handle their snow issues, businesses are under much greater pressure. Failure to address snow or ice issues can leave a company exposed to potential liability for a slip and fall or other accident caused by snow or ice on their property. For this reason, commercial snow removal services are critical in Lake in the Hills. Businesses in and around the city need to have snow removed much more quickly than their residential counterparts. Snow-covered parking lots are an understandable concern for most businesses because a lot filled with snow usually means a customer will take their business elsewhere. Companies should decide on a commercial snow removal plan that works best for their needs. When a price is based on a per push basis, a business avoids paying when it happens to be a mild winter. When there happens to be frequent snowfalls, however, it is typically more beneficial to have a contract. Other businesses can benefit from paying only when it snows. Daybreaker Landscapes can provide immediate response to snowfall events, but keep in mind that multiple people seek snow removal services at the same time, which can impact response time. For this reason, it is often best to decide on the agreement you want ahead of any snowfall. When you wait too long, you are tempted to hire the first person willing to show up to do the job, and they may not be the most qualified. Daybreaker Landscapes can customize an agreement with your business to ensure that you get all the snow and ice removal services you need. You can set up a monthly contract or a multiyear deal. The contract can also cover far more than merely shoveling walkways after a snowfall. We also provide additional ice removal and prevention services before, during, and after a snowfall for companies that have no margin for error when it comes to safety. If you need snow removal services in Lake in the Hills, turn to a team that has the right experience and skill to get the job done safely. Daybreaker Landscapes is dedicated to customer satisfaction, communication, and reliability. We are a U.S. Veteran Owned Business that is a member of the Illinois Landscape Contractors Association. We are headquartered in Union but serve numerous areas, including Elgin, Lake in the Hills, Algonquin, Crystal Lake, Woodstock, Barrington, and many other surrounding communities. We offer free estimates. Call at (815) 596-0070 or reach out to us online today to get more information.